This Toasted Barbecue Chicken Sandwich is simple, fast, and the perfect meal for one! 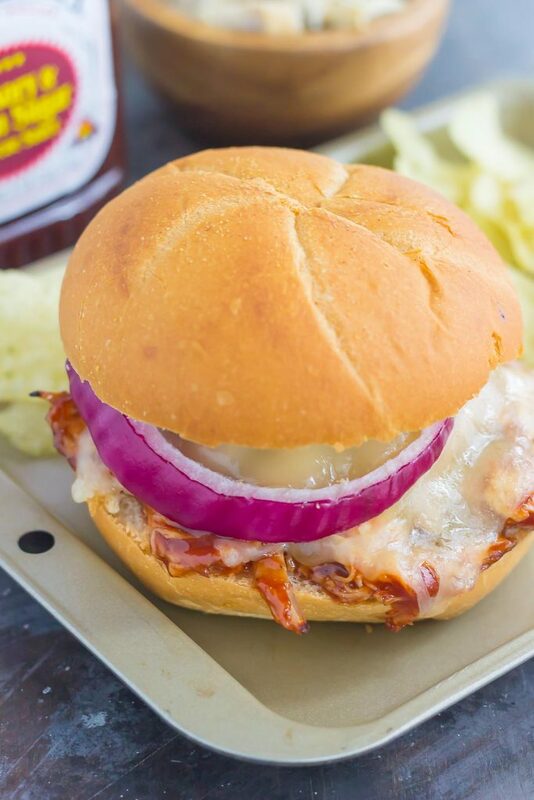 Shredded chicken is smothered with tangy barbecue sauce, then topped with Swiss cheese, red onions, and baked until melted and golden. Fresh, flavorful, and easy, you can have this meal ready in less than 15 minutes! Cooking for one can be hard, right? I mean, even cooking for two, or four, or six, is difficult. But, for me, cooking for one is the hardest, mainly because you really have to scale down the ingredients if you don’t want to end up with lots of leftovers. And not that leftovers are a bad thing, if you like them, that is. Have I mentioned that I’m not a big fan of leftovers? I can feel the glare comin’ at me, friends. I’m veeery picky about my leftovers, but luckily, the hubster loves them. Which is why even though it’s just the two of us, I usually cook meals that serve four. But, ever since I started the first Meal for One series recipe, I’ve been loving (and learning) how to cook better for just one person. And I have to say that I’m getting hooked on this concept! Whether you’re cooking for just yourself, or want a different meal than your spouse/significant other/roommate/family member, or if you’re like m and don’t want to eat leftovers, then these Meals for One will really hit the spot. And today I’ve got a winner for you! This is the third recipe in the Meals for One series (see the first two recipes here and here). And a sandwich that’s all hot, toasty, and cheesy ready in just 15 minutes? Sign me up! Barbecue chicken anything is one of my favorite combinations (remember these pita pizzas or those quesadillas?) so it only seemed natural to make a classic sandwich with these delicious ingredients. And this Toasted Barbecue Chicken Sandwich really couldn’t get any easier (or more delicious). 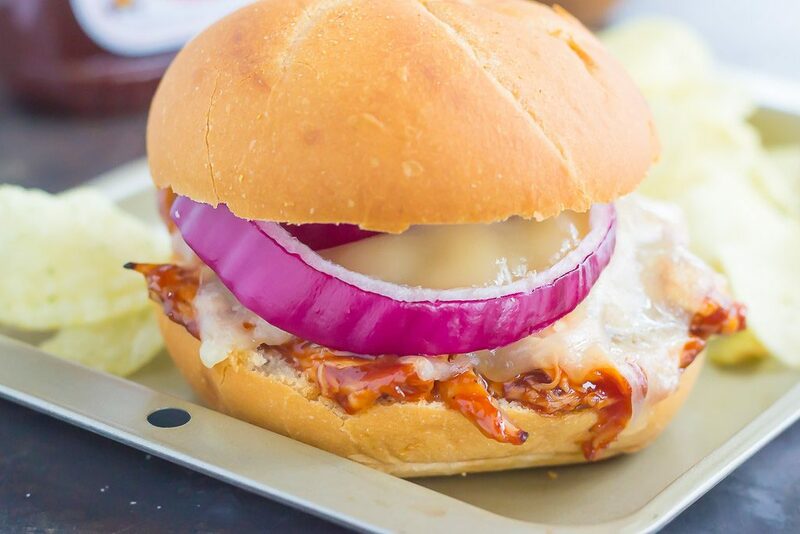 A soft, round roll is piled high with shredded, rotisserie chicken that’s combined with barbecue sauce, and then topped with swiss cheese and red onions. That’s all there is to the ingredients! Of course, you can customize this sandwich depending on your tastes. Don’t like red onion? Leave it out? Prefer provolone or cheddar cheese? Swap it in. The possibilities are endless! Pop the the sandwich into the oven for about 10 minutes and your ooey-gooey melty, cheesy, barbecue-y sandwich is ready to be devoured. It’s that good, friends! The secret to making this Toasted Barbecue Chicken Sandwich extra easy is using the already shredded rotisserie chicken that you can find in the deli section of your grocery store. It saves a lot of time from cooking and shredding your own chicken! And if you’re cooking for two, four, or eight feel free to adjust the ingredients depending on that. Easy peasy and oh-so good! Looking for more Meals for One? I’ve got you covered! 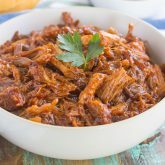 In a small bowl, combine shredded chicken and barbecue sauce. Stir to mix well. Spoon chicken onto bottom half of bun. Top with cheese, red onion, and top of bun. Place onto a small baking pan and bake for 8-10 minutes, or until cheese starts to melt and bun is lightly golden. Remove from oven and serve immediately. 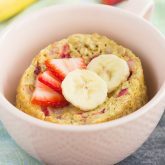 This recipe is specifically tested as an individual serving meal. However, if you're cooking for a family of two (or more) double (or quadruple, etc.) the ingredient amounts and this will work for you, too! This looks like a sandwich MADE for Mondays!! Loving that you used swiss cheese and that chicken just sounds so super flavorful! I'll take two please! Doing a Meal for One series is so smart! live this barbecue chicken sandwich!! I absolutely love love looooove this series, Gayle! Given that Boy and I seem to ALWAYS eat different meals, and I cook for one twice at every meal, I feel like you made this series just for me! ;) I'm only picky fan of leftovers, like I'll only eat leftovers of certain things, so no judgement here!! Anyways, these sammies look delicious! 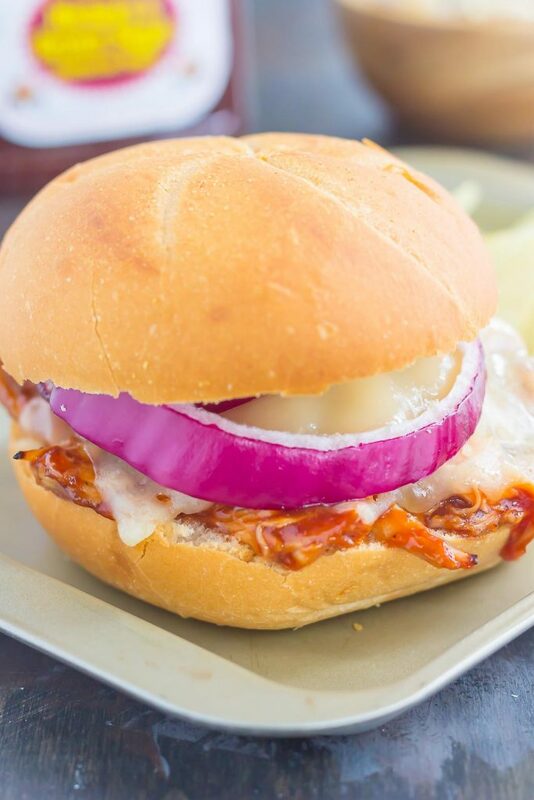 I mean, what's not to love about a BBQ chicken sammie, right?! But then you added swiss cheese and red onions, which makes my belly happy! Looks perfect, friend! Pinned! Cheers! Ok phew, glad you share the same feelings as I do with leftovers! My husband just doesn't get me in that regards! :) Thanks for the sweet comment and pin, friend! I don't mind leftovers, but sometimes I get pretty tired of it, especially if there are too many of one thing. At that point, I freeze if I can. It's only hubby and I too and there's only so much that two people can eat! I love the concept of meals for one. 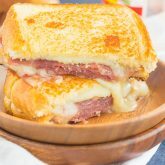 And I always love a good sandwich, especially if there's melty cheese involved! This is a perfect idea for lunch or dinner with soup, especially on Monday when I'm a bit tired ;) Pinned! Cheers to a lovely week! I need to start freezing meals more, that would be such a big help! Thanks for the kind words and pin, Dawn! I love this!! I actually enjoy having some leftovers (to bring to work for lunch! 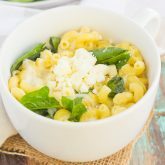 ), but I also find it so much easier to double/triple a recipe than I do cutting them in half :) This looks absolutely delicious and might encourage me to cook when my husband is out of town! You are so right, leftovers for lunch is the best! Thanks for the sandwich love, Sues! We're all about the BBQ sandwiches these days. As soon as the weather gets warmer, it's a MUST on our meal plan. We had a beef version last week, but now I want your chicken sandwiches too! Thanks, Blair! Barbecue chicken is the best as the weather gets warmer! We had our first true BBQ of the season the other day and now I'm all in! This looks fabulous, Gayle! Making my mouth water just thinking about it! Barbecue season is the best! Cooking for one is so hard! Even if it's just me and the kids I don't really feel like making anything. These are brilliant! I'm going to keep this on hand for when the hubs is working long hours this fall. It can be so challenging! Thanks for the kind words, Ashley! I love these meal for one series! We often eat different meals at home! This sandwich looks perfect! Can't wait to try it! There's definitely a fine line when it comes to me and leftovers...I usually appreciate some, but with just the two of us, I'm always afraid of way too many. This sandwich looks so satisfying! Shredding rotisserie chicken is one of my fave kitchen shortcuts. Yes! That's my problem, too...I usually end up making too much food, so we either give it away or throw it away haha. Thanks for the kind words, Alyssa! Sometimes I feel like a short order cook because the kids don't like what we're eating -- it poses big problems for me! This would be a great solution for those days as I could whip up 2 of these and they would be so happy. I would want leftovers for myself however, so I'd definitely need to make some extra! I can only imagine how hard it must be to please kids! Thanks for the kind words, Marcie!